Zapovednik Pasvik, in Pechenegsky District of the Murmansk Region, was established in 1992. Its area is 14.6 thousand ha. 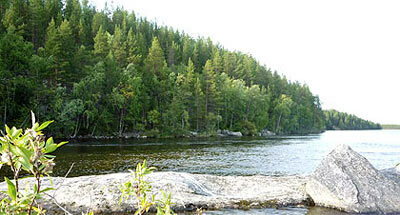 It occupies the right-shore valley and basin of the Раz River, along the border with Norway. The relief is lowland. The highest elevation is 357 m above the sea level (Kalkunya mountain). Sand-rock ridges 10-50 in high are widespread, and lakes are numerous. 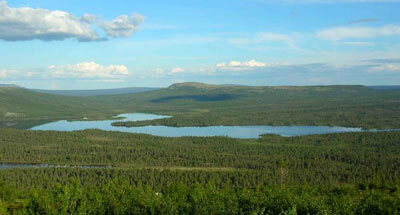 The plant cover is formed by northern taiga forests on the northern edge of their distribution range. Pine forests (of Lapland pine — Pinus friesieana) and birch forests predominate to account for over 55% of the territory. A large proportion of the area (35%) is occupied by mires, mostly with oligotrophic moors, sphagnum and sedge-sphagnum bogs and mesotrophic herb-sedge bogs. On the top of the Kalkunya mountains are rocky tundras, which change into forest-tundra birch elfin woodlands. There are 20 mammal species, and 130 avian species (including 75 nesting), 2 reptile species, 2 amphibian species, and 10 fish species. Some species — brown frog, moor frog, adder, Vespertilio nillsoni, bank vole, moose dwell on the northern edge of their ranges. The local moose population (150) migrates beyond the state border to concentrate in the Norwegian National Park Erve-Pasvik. The density of waterfowl is high. The rare birds to be found on their flyways are the peregrine falcon, white-tailed eagle, golden eagle, Arctic falcon; the osprey nests occasionally. 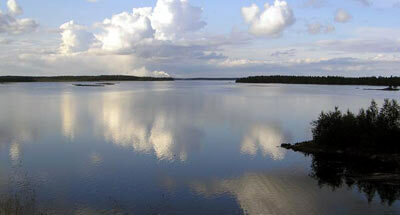 The Zapovednik is proposed as an international protected area (together with Norway and Finland).